Belgian Congo was not even a colony of Belgium. For many years, it remained the personal property of king Leopold II of begium. It was under his patronage that Stanley the explorer had reached the place. 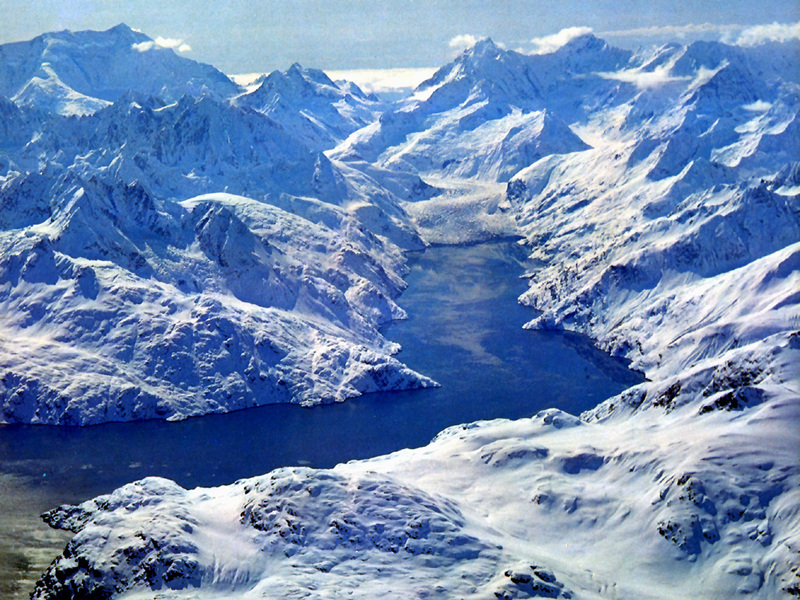 Alaska was purchased from Russia by the U.S.A. in 1867 for just 1,450,000 pounds. 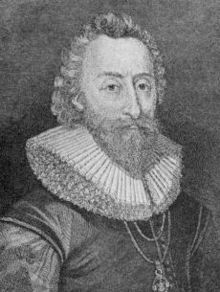 The Earl of Sterling rented the whole of Canada from king James I of Scotland for one penny a year! 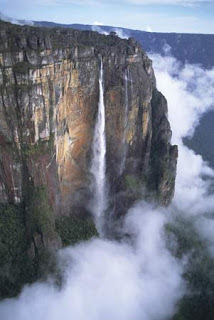 Did you know that the Angel falls in Venezuela is the world's highest waterfall. It falls nearly a mile (1,500 metres)! The natives call it Churun Meru. It is 30 times higher than the Niagara falls! Stars travel at terrific speeds! They look stationary. It is something like the feeling you get when you look at a kite fly against the background of the moon for a minute or so. The kite seems to move fast, compared to the 'stationary' moon, which, in fact, is travelling at a speed of more than 3,600 km per hour! Quasars which look like stars, are far away, but emit strong radio waves. They are racing away from us at speeds exceeding 1,000,000,000 km per hour! Stars are not cool. Even the polar star has a surface much hotter than that of the sun. 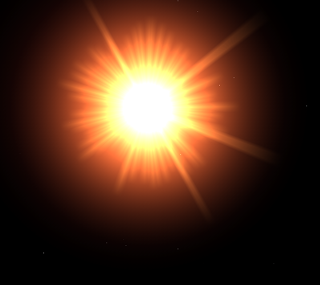 The temperature of the sun, at its core is about 14,000,000 degrees celsius! The sun is not at all stationary. It completes a revolution around the centre of the milky way. Our galaxy once in 225,000,000 years! Since birth , the sun has already completed about 20 revolutions, and therefore, twenty years! According to astronomers, it will complete another such 20 revolutions. Then it will first blow up and then shrink. Only about a year ago- we mean the cosmic year of the sun- Amphibians like frogs had appeared on this earth. What will happen next year (sun's) no one can predict! 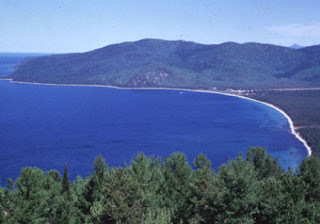 Did you know that Lake Baikal in Russia is the world's deepest lake. It goes 1,940 metres below sea level! 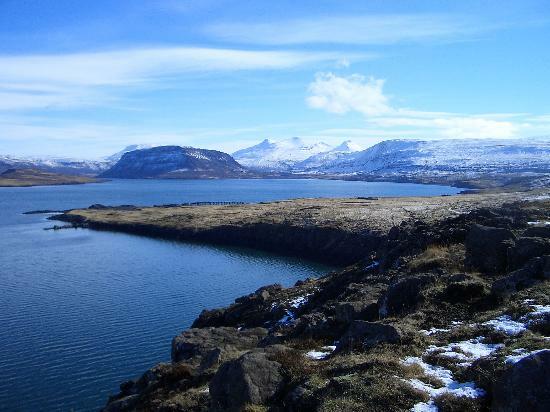 The lake remains frozen between December to May and then you can cross it without using a boat! 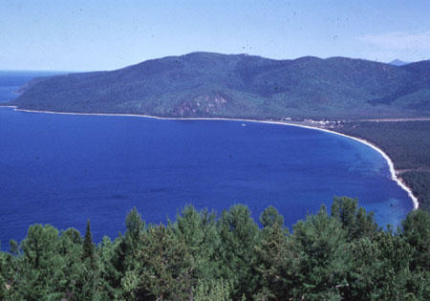 Lake Baikal is very rich in marine life like Seals, Salmon, and Strugeon. Did you know that when the volcano of Santorini exploded in 1628 B.C., it was the largest explosion to have taken place in the recorded history of the earth. Its explosive force was 78 times greater than the force of the largest hydrogen bomb ever blasted. 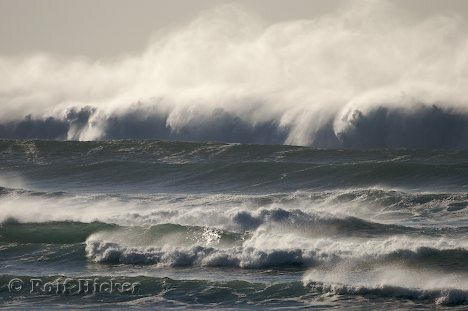 Did you know that the deepest point on the ocean floor is the Challenger Deep located in the Pacific Ocean. It is approximately 10,923 metres deep. 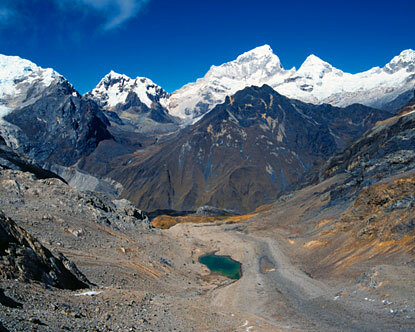 Did you know that the Andes Mountains in Argentina, are the longest mountain range in the world. The world's highest navigable lake, Titicaca, is located in the Andes. 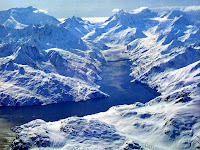 The highest lake is an unnamed lake near Mt. Everest. 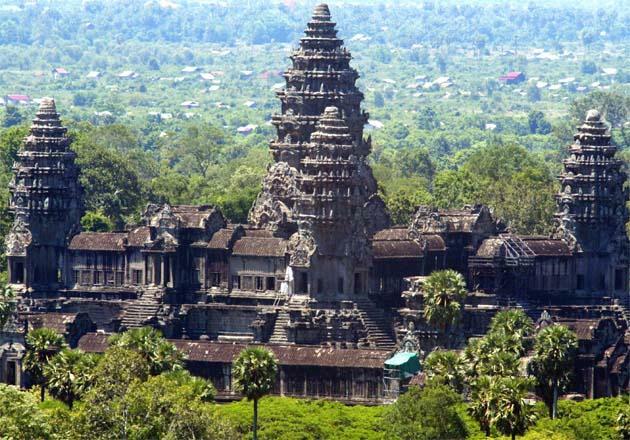 The famous temple of Angkor Wat in Kampuchea ( Cambodia) was first discovered by Henri Mouhot, a French naturalist, in 1861. 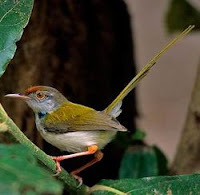 Once when he was looking for rare insects in the jungle, he suddenly beheld the outlines of a large stone structure. He forgot about his insects and explored the whole area and found a large temple and many other structures which were half submerged in the jungle. He recorded his discovery this. "Perhaps the grandest, the most important and most artistically perfect monuments the past has left to us". He was correct. 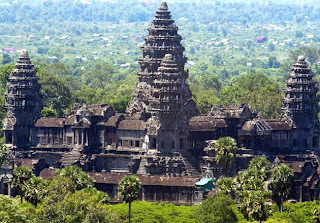 He had dicovered the enormous ruins of Angkor, the capital of the great Khmer Empire which flourished during the 12th century. Children, the world over, love to celebrate their birthdays. It is a day when one is usually pampered. Birthdays are celebrated in numerous ways. The most common type of celebration is to cut a cake and hold a feast afterwards. The cutting of the cake is usually accompanied by the most well-known song, 'Happy Birthday To You!' This song was written by two girls in Kentucky, USA, in 1893. In India, the elders of the family gather to bless the birthday boy or girl with an aarti. An aarti is a ritual during which a tray containing lighted lamps is moved in front of a person. Rice grains symbolising prosperity are also sprinkled on the person. Balloons were first introduced in the USA at birthday parties. Over the years, this practice became common in most parts of the world. A variety of sweets, cakes and pasteries is also a must. In China, birthday boys and girls are usually fed noodles because long noodles signify a long life. Older Chinese celebrate birthday's once in ten years. Several Asian and African people do not celebrate birthdays at all. Like India, Germany too observes children's day. It is called 'Kinderfest'. Children are given gifts and chocolates on that day. In England a big drum would be filled with gifts and toys and everyone invited to the birthday would dip their hands in it and take away whatever they managed to pick up. In Korea, the future of a child is determined by the item he chooses from a number of items kept on a table. The Japanese usually gift a kite to a child who has reached the age of 13. New Year's day in Bhutan is observed as the birthday of all Bhutanese citizens. The large gap between Mars and Jupiter had puzzled astronomers for many years. For according to their calculations, a planet ought to have existed in this region. On January 1, 1801, the Italian astronomer, Guiseppe Piazzi, discovered a small planet in that large gap. He observed it for a few days and thought it to be the missing planet. It was named Ceres. However, Ceres was so small (less than 1300 km across), that astronomers began to wonder if it was a plannet at all! When further scrutiny of the sky in that region revealed more "little planets". 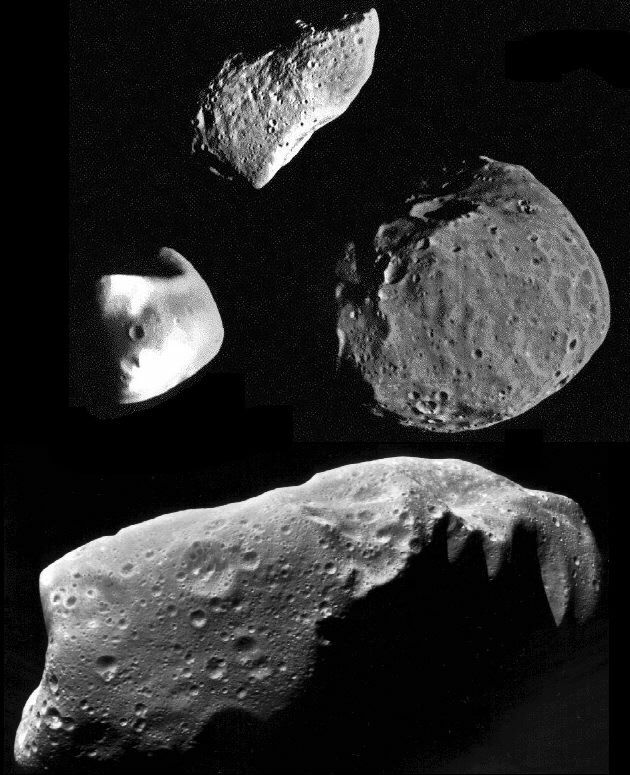 Astronomers began calling them Asteroids, collectively. Today, they are also called Planetoids. Pallas, Juno and Vesta (the brightest asteroid which, on clear nights, can be seen without a telescope), were discovered soon after Ceres. Ever since, at least 40,000 asteroids have been found orbiting the sun in the yawning gap between Mars and Jupiter. The origin of asteroids is shrouded in mystery. 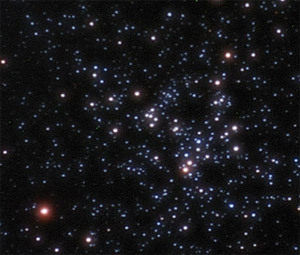 Some scientists think that they are the remains of an ancient planet that blew up for some reason. Others say that they are parts of a planet which never formed. Few asteroids are as big as Ceres and Vesta. Most of them are only a few kilometres across. Because of their small size, their weak gravity has not been able to pull those bodies in a neat ball shape. that's why they're not spherical like the planets. Scientists think that in the distant future, man will be able to use material from asteroids to build space colonies! There is a furious activity in the bird world just before the mating season. Birds get busy building their nests and some are very unusual nests indeed! 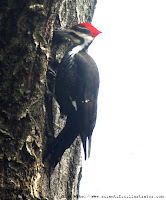 Wood peckers use their strong bills to bore a deep hole in the tree-trunks. At the end of the little tunnel is a chamber. Here, on a soft layer of wood dust, the woodpecker lays her eggs. 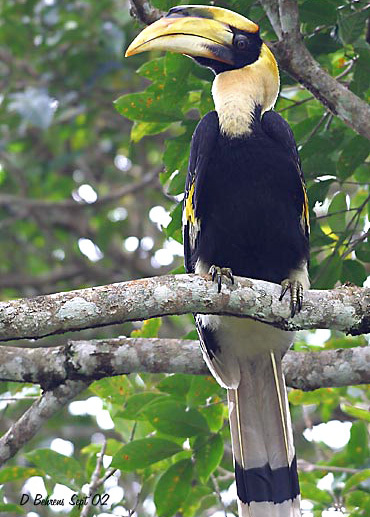 Hornbills lay thir eggs in the hollow of a tree-trunk. As the female settles down to hatch her eggs, the male helps her to block the entrance with mud and saliva. 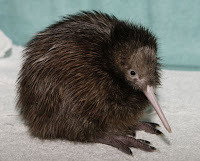 Now the female and her eggs are safe. Only a narrow slit remains through which the male feeds his family! The industrious little tailor bird sews his own nest. Holes are punched along the edges of two overlapping leaves. Strands of fibre are drawn through the holes and knotted at each end to hold the leaves together and behold, a little pouch is ready. The inside is lined with soft cotton or reeds. Did you know that the island of Iceland started forming 20 million years ago and it is still growing. It is built up by the slow pouring of lava out of the earth, at the boundary of the island. 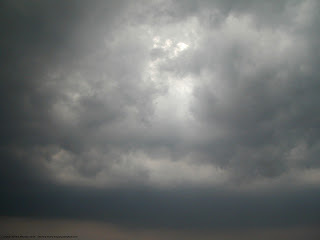 WHY DON"T ALL CLOUDS PRODUCE RAIN? Clouds which are not moisture-laden, do not produce rain. Clouds consist of water vapour. Not all clouds are densely laden with moisture. When the clouds get saturated with water, they come to a lower level in the sky. If the temperature also goes down, the moisture gets percipitated in the form of droplets and we get rain. IF RADIOACTIVE RAYS ARE HARMFUL TO THE HUMAN BODY, HOW CAN THEY CURE DISEASE? Radioactivity causes severe damage to body cells and tissues and so it is harmful to the human body. However, radioactivity destroys cancerous cells as well. Physicians and surgeons resort to controlled use of radioactivity to treat cancerous cells. WHAT IS THE FUNCTION OF THE SPINAL CORD IN OUR BRAIN? The spinal cord is not in the brain. The brain extends down as the spinal cord. Both these together form the central nervous system. The spinal cord, which is around 42 cm long, runs through the vertebral column as it passes down gives rise to spinal nerves. 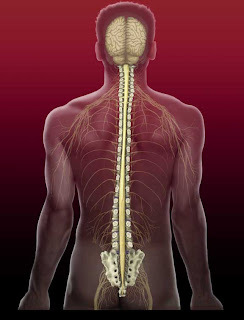 There are 31 pairs of spinal nerves which further branch out through the body. 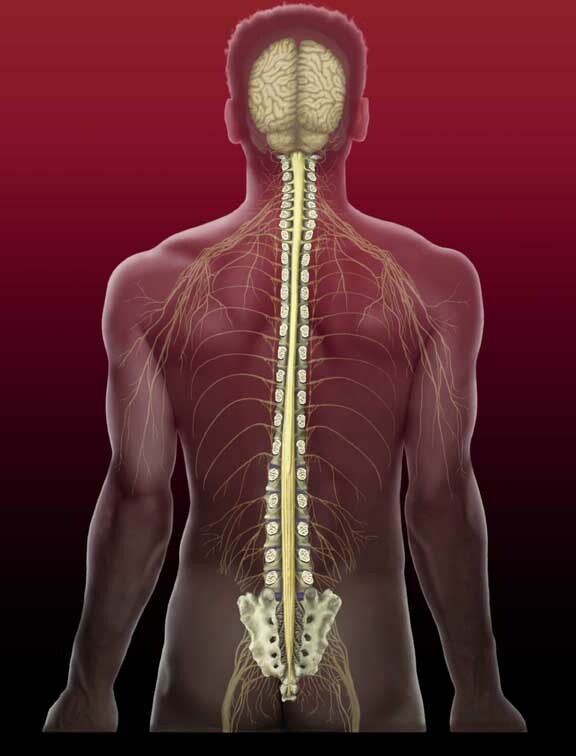 These spinal nerves bring sensations from the outer environment to the brain and also carry the order of the brain to muscles or other body parts. The spinal cord thus acts as an important channel between the spinal nerves and the brain. During Christopher Columbus' second visit to South America, he saw the natives there playing with bouncing balls. These balls were made from gum taken from Hevea trees. Columbus took some of the balls home to Spain and gifted one to Queen Isabella. This was in 1496. For more than three hundred years afterwards, scientists in Europe and America experimented with Hevea gum. The gum was given the name 'rubber' when the scientist Joseph Priestley found that it could rub out pencil marks. A Scotsman, Charles Mackintosh began making good raincoats by putting a layer of rubber between two layers of cloth. His raincoat were called Mackintoshes. But people in general did not much care for rubber. They found that it was too sticky in hot weather and too brittle in cold weather. In 1839, An American, Charles Goodyear found that when sulphur was added to rubber and the mixture was heated, The rubber became much easier to use and it did not become sticky or brittle. Goodyear's method of treating rubber is called Vulcanization'. In 1876, the English brought rubber seeds from South America and planted them in their own country. But as rubber cannot grow in cold countries they sent the seedlings to Sri Lanka which was then a British colony. From Sri Lanka some seedlings were sent to Singapore and elsewhere. Soon rubber began to be grown in Malaysia, Indonesia, Thailand, India, Burma and other parts of Asia. A rubber sapling takes 5-7 yrs to grow into a mature tree. When it is old enough, shallow, curved cuts are made in the bark and a milky juice called Latex oozes from it. This sticky juice is collected in vessels attached to the tree. It is then taken away in drums to a factory and made into rubber sheets. Further processing and vulcanizing is necessary before this rubber can be used for making such items as tyres etc. 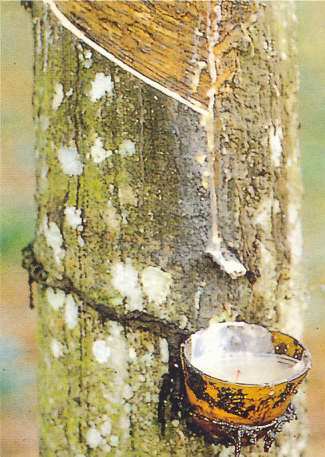 In India, rubber grows in abundance in Kerela. 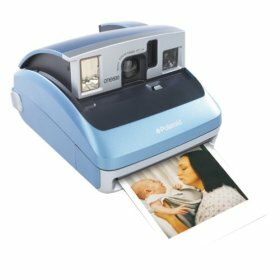 HOW DO POLAROID CAMERAS TAKE INSTANT PHOTOGRAPHS? Polaroid cameras have a built-in instant processing facility which produces prints in a matter of seconds. The film contains layers of negative and positive chemicals (salts) and a packet of jelly-like developing chemicals. After exposure, the film passes through a pair of steel rollers. The pressure of the rollers burst the packet and the released developing chemicals immediately convert the exposed area of the negative layer. The salt at the unexposed area then reacts with the positive layer and forms a positive image. 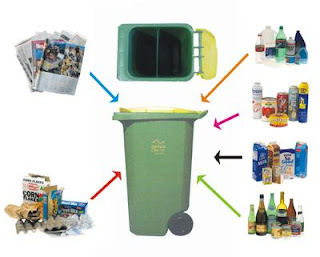 HOW DOES RECYCLING OF WASTE MATERIAL HELP IN MAINTAINING ECOLOGICAL BALANCE? 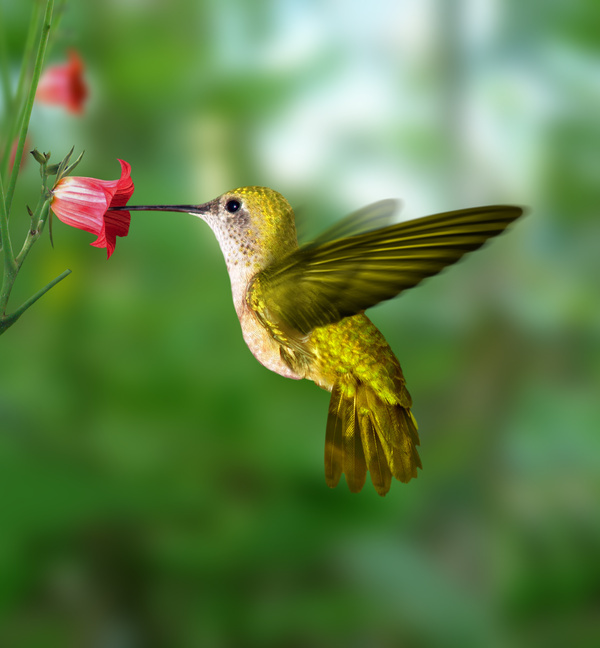 Ecological balance refers to maintaining to a fairly constant level, all chief life-sustaining substances like water, carbon, oxygen, hydrogen, nitrogen etc. although they go through repeated biological (ecological) cycles. Certain human activities tend to disturb this balance. For example, the mills and factories spew a lot of carbon dioxide into the atmosphere. Unless we plant an adequate number of trees that can convert this carbon dioxide to oxygen, the ecological balance will be disturbed. Plastic bags are not biodegradable. They do not decompose like bags made from cotton or jute. If they are thrown on the ground or in fields, the soil becomes less porous. If we recycle such plastic products, it will help in maintaining the ecological balance. Similarly if we sell old newspapers, reusable paper can be made from them. As a result less trees will be cut. This too will help maintain the ecological balance. WHY ARE OUR LIPS RED AS COMPARED TO THE OTHER PARTS OF THE BODY? The human skin all over the body is covered with the dermis and the epidermis, two outer layers that protect the skin. Lips are made up of a special mucous membrane. Many nerve fibres too are directed to this region. 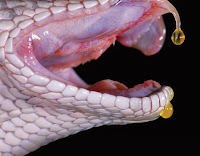 The mucous membrane on the lips, also known as the cutomucosal layer, is delicate and is supplied with many blood vessels. Hence the lips look red. Also, they possess a certain kind of pigment. The lips of fair persons are red, but those of dark people may look black or violet. It is said that when Captain Cook discovered Australia, He saw some strange animals there. He wanted to know what they were called. 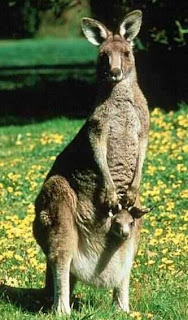 "Kangaroo," replied a native, which meant "I don't know". But Cook took it to be the name of the animal! and so it has remained ever since. In 1943, A farmer in Central Mexico was ploughing his cornfield when his son came running towards him. He had heard a growling sound coming from the ground nearby. When the farmer went to the spot, he saw a cloud of smoke. He ran to fetch his wife and his neighbours and when they reached the field, they found an opening in the ground. In the days that followed, they heard loud explosions and saw chunks of rock bursting high into the air out of this opening and then a boiling hot liquid began oozing from it. In four months, at the spot where the smoke was seen, there stood a mountain about one thousand feet high. What the farmer had seen was a volcano in action. 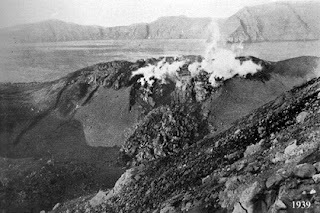 The story of any volcano, however, begins several kilometres under the ground. The deeper you go into the earth, the hotter it becomes; hot enough to melt even rocks! This molten rock is called Magma. Sometimes this hot, boiling Magma forces its way out through the earth's surface. If the magma comes out with great force, there will be an explosion and solid lumps of rock will be blown out as it happened in Mexico. The opening on the earth's surface through which the magma comes out, is called a volcano. 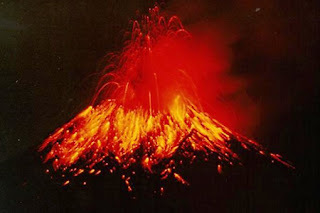 The Magma that has come out, is called Lava. This Lava which flows out of the volcano hardens into solid rock when it cools. As the Lava oozes out, some of it plies up around the opening. If the volcano keeps erupting, more and more Lava piles up and in course of time, you could have a cone-shaped volcanic mountain standing on the spot. One such volcanic mountain is Fujiyama in Japan. There are several thousand volcanoes on the surface of the earth but most of them have not erupted for hundreds of years. Sometimes the Lava flows out of a number of cracks in the earth and the lava spreads over the land in thick layers. The Deccan Plateau has been formed in just this way. The plateau contains 520,000 kilometres of Lava which flowed out millions of years ago. Man has used all sorts of methods to send messages. In Persia, 2500 years ago, men with loud voices were placed on the mountain tops to shout out the news from one town to another. Greeks used to flash messages with lighted torches. The red Indians used smoke signals. In 1830, an artist named Morse was sailing to America after a long stay in Europe. On board the ship there was a man demonstrating the effect of electricity on a magnet. Morse was fascinated by the demonstration and it occurred to him that electricity could be used to carry messages from one places to the other. He devoted all his time to designing a machine which could use electricity to carry messages. Finally, after three years of hard work, he built a telegraph set. It took him another three years to persuade the government to send messages by telegraph. As the telegraph poles were being set up the workmen were often shot by hoodlums and sometimes the poles would be knocked down at night. It was found that it was the postmaster general of the United States who was behind all the trouble. 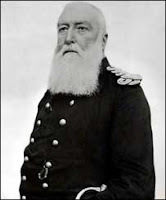 He was afraid if the telegraph became popular, people would stop sending letters and he would lose his job! The man was arrested and work on the telegraph progressed rapidly after that. 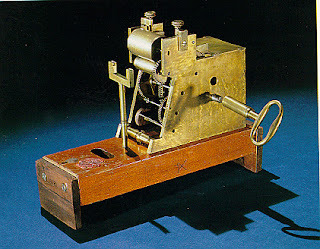 The first telegraph was sent from Washington to Baltimore. The message read: What Had God Wrought. Nowadays if we want to send urgent news quickly, all we have to do is go to the nearest telegraph office. When a telegram is sent, the receiver at the other end hears only a series of sounds representing dots and dashes. He then decodes these dots and dashes to get the message. A dot and a dash (.-) means A. A dash and three dots (-...) means B. And so on are the codes of the letters. Flies are not safe anywhere in the world. When this fly in the boggy swamps of North America settles on a leaf of the plant called Venus Flytrap the two halves of the leaf immeadiately snap shut, trapping the fly. The leaf re-opens only when the fly has been eaten. The Pitcher plant is another plant that catches insects. The sweet smell of the Pitcher attracts the insect. 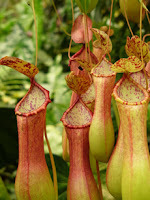 The red colour of the inner wall of the Pitcher too looks inviting. The insect walks inside. But the next moment the poor creature slides helplessly down the slippery wall of the Pitcher.When it touches the bottom, the juices there help the plant to digest the insect and use it up as food. 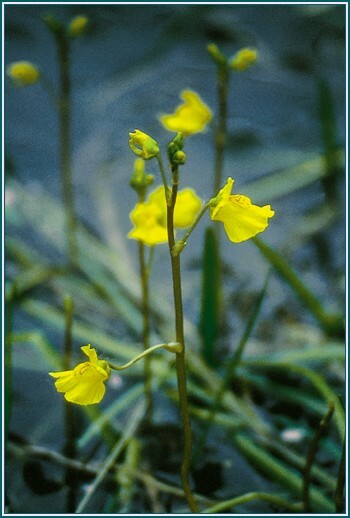 The Bladderwort has a slightly different method of trapping its prey. This plant which grows in ponds has tiny sacs called bladders growing on its roots. In the pond there lives a tiny water creature called Daphnia, which looks very much like the bladder of the Bladderwort. The Daphnia goes up to the bladder, taking it to be one of its friends. But the moment it touches the bladder, a trapdoor opens inwards and the Daphnia is swept in with the water that rushes into the bladder. Once the Daphnia is inside, the trapdoor closes and the Bladderwort proceeds to digest the creature it has caught. Perhaps the Daphnia could have got away if it had been more alert but this fly about to settle on a Sundew plant has very little chance of escaping. The plant has button-tipped hairlike growths on its leaves. These buttons are sticky. As the fly struggles to free itself the other buttons close in on it. Then certain juices flow out from the leaf and the insect is dissolved and digested. Another insect-eating plant is the Butterwort. When an insect sits on one of its leaves the leaf curls up imprisoning it. The insect is then digested at leisure. 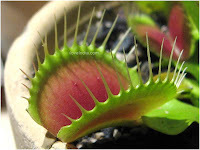 All these plants eat insects because they do not get enough food from the soil they are growing in. 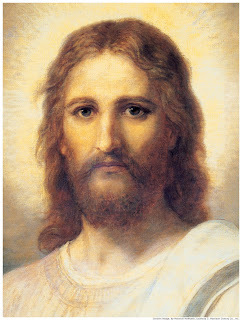 We have had many spiritual leaders in the past, Some of the renowned ones are Christ and Buddha. They were very well-known. Did you know that when Christ or Buddha went to a village to preach, immediately the people of the entire village and the neighbouring village could feel their presence. Only their presence was this powerful. They spent most of their time praying or meditating in order to attain peace of mind. After their death, their teachings were carried on by their disciples, whose followers came to be known as Christians and Buddhists. Later on Christianity and Buddhism became a religion or sect. 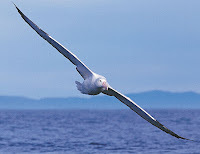 The Albatross can fly all day. 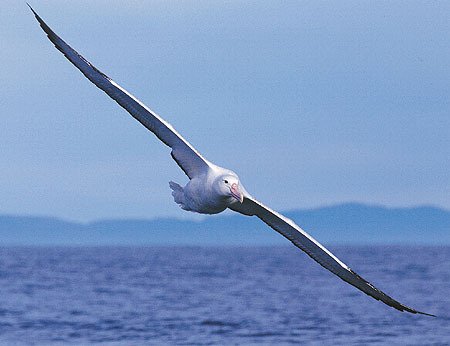 It may not flap its wings even once! The Humming bird can hum and remain airborne motionless for upto one hour. The Kiwi's beak is so senstive that it can detect the presence of worms deep beneath the surface of the earth. WHY A NEWLY-BORN CHILD HAS ITS EYES AND FISTS CLOSED? Inside the mother's womb, the baby lies curled up with its eyes closed and fists clenched. When it is born, it stays like that for some time. After birth, the baby is cleaned to remove the waxy layer on it. 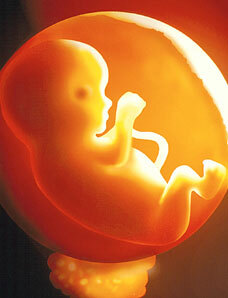 It is only then that the baby opens its eyes to see the light, because, inside the womb it is dark. 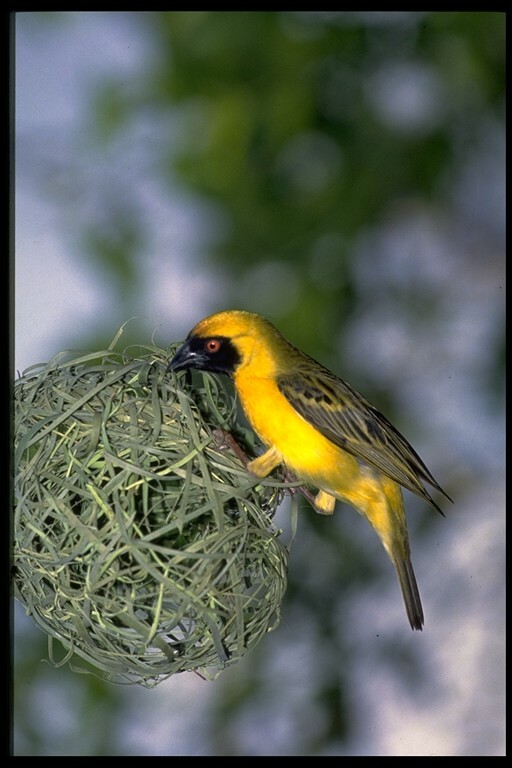 Social weavers (birds) make collective nests that are five metres across and can house a hundred pairs. 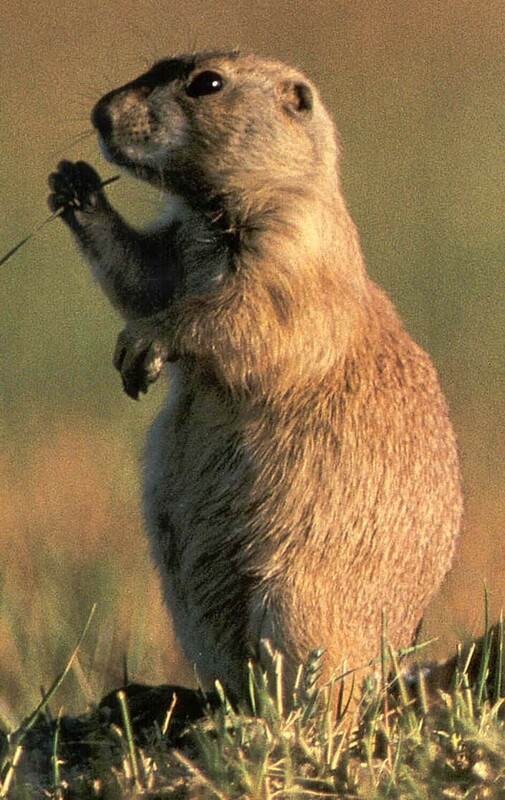 Prairie dogs of north America build the biggest underground towns, which are divided into colonial burrows. They cover dozens of acres. 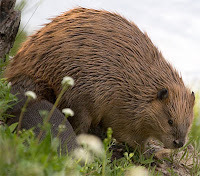 Beavers come together and build dams of mud and vranches to create artificial ponds. There are seperate entrances to each Beaver lodge. 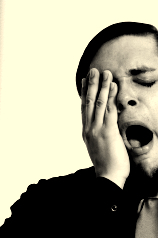 WHAT MAKES US FEEL TIRED? All day long our muscles are used as we do different types of work. The energy comes from A.T.P or Adenosine Triphosphate which gets converted into lactic acid. This must be removed constantly to allow the muscles to function. There are also other chemicals collectively called fatigue toxins which go round the body in the blood. So not only does your hand feel tired after you've been using it for a long while, your entire body including the brain experiences fatigue. Rest is the best cure for fatigue. However a change in activity can also refresh you. You can rest by doing something different e.g. go for a walk, play a game, or sing. Activity increases the respiration, improves blood circulation and makes the glands more active and the toxins are removed faster from the tired parts of the body. However if you are extremely fatigued you will find yourself dropping off to sleep even if you try to do something else. HOW DOES A CORDLESS TELEPHONE WORK? When you dial a number in your conventional telephone, each dial produces a corresponding electrical impulse which gets transmitted to your receiver set through the piece of cable (wire) connecting the handset and the receiver set. The receiver set then transmits the signal to the desired destination through the telephone cables, being processed on its way by your telephone exchange and the exchange at the receivers end. In a cordless telephone the only difference is that there is no cable connection between you handset and the receiver set. Here the handset produces electromagnetic waves of particular frequencies as per your dial and the receiver picks up these waves, converts them electrical signals and then, following the same means as that of the conventional telephones, transmits them to the desired destination. The process is reversed in the case of receiving a call except that the handset, after receiving the electromagnetic signals from the receiver, converts them into corresponding sound or voice. 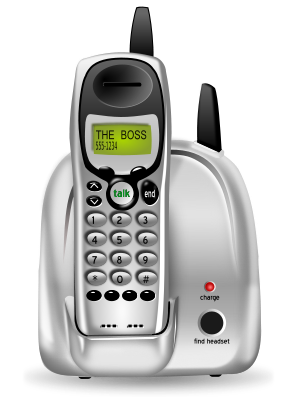 With a cordless telephone you need not go to your receiver set to make or to receive a call. You just keep the handset with you wherever you are and thus save your labour and time. However, in the absence of an elaborate arrangement the electromagnetic waves produced or received are not very strong and so, there is a limitation on the distance you can be away from your receiver set. The range varies depending on your particular cordless set, the normal range being around fifty metres. WHY DOES MILK APPEAR WHITE? Milk is an emulsion of fat in water, Take a little water in a test tube. Now add a few drops of oil. Shake vigorously. After some time, you will find that oil and water form separate layers. Now add a few drops of liquid soap and shake again. Now the oil will be whitish. Milk is just like that - an emulsion of fat in water. WHY ARE SPECIAL SUITS NEEDED BY ASTRONAUTS? High up in the sky, there is no atmosphere and hence no oxygen. Special suits have provision for supplying oxygen for breathing. They are also necessary to ensure adequate air pressure outside the body. 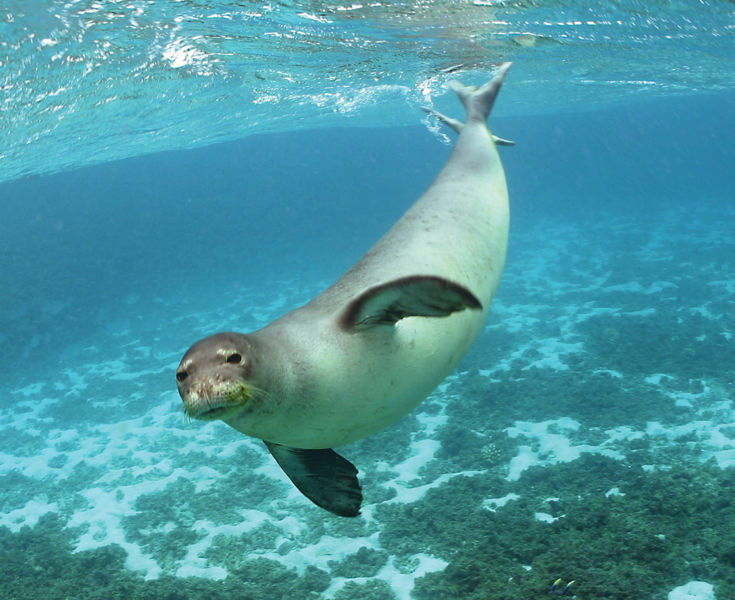 The milk of Seals and grey whales contains 53% fat, allowing the babies to gain 100 Kg per day! 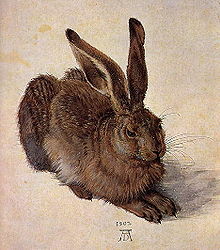 Hare's milk contains 25% fat and the babies are fed only twice or thrice a week. The cow's milk and the human milk are easy to digest because they contain only 3 to 5% fat! In the human saliva, there is an enzyme called ptyalin which converts part of the starch in the food to sugar. Rice will taste sweeter if chewed and eaten slowly. 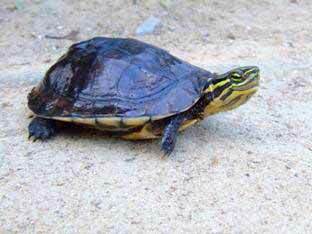 Pond tortoises have no saliva in their mouth. Poor things! They have to eat their food inside the water. Dry food sticks in their mouth. Snake venom is nothing but saliva, though it is a modified variety. Thank heavens, we do not have that variety of saliva! Tree ants of South East Asia create nests out of leaves they glue together. 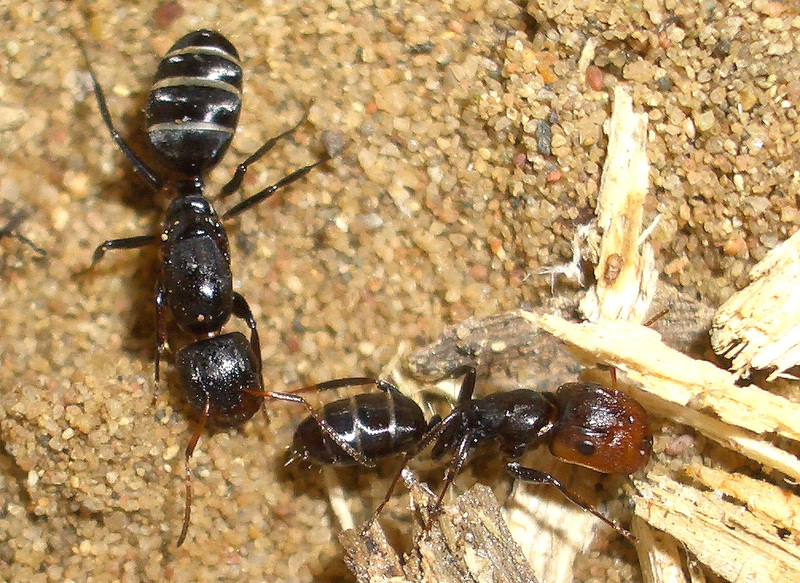 One group of ants holds the edges of two leaves together. Another group on the inside of the leaves hold young Larvae from which a sticky substance is squeezed that gums the edges. 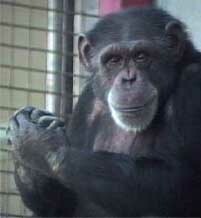 Washoe, A Chimpanzee trained by a psychologist of the university of Nevada had learned 163 words, using sign language, by 1966. When an enemy is sighted, the Ostrich does not bury its head in the ground, as many assume. It lies down with its head and neck stretched so that it can look around without being noticed.